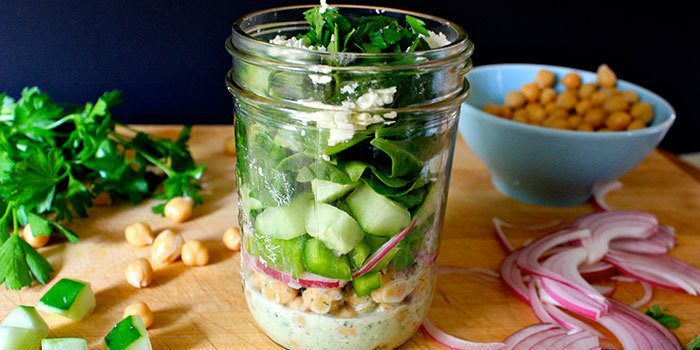 You will love the combination of chickpeas, crisp bell pepper, and refreshing cucumber in this Mediterranean Mason jar salad. A creamy yogurt dressing with fresh mint and garlic brings all of the flavors together. Feta and parsley add the finishing touches. This is a great make-ahead meal to take to work or on a picnic. 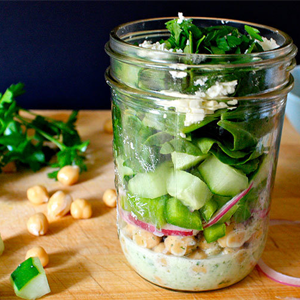 The chickpeas marinate in minty yogurt dressing at the bottom of the jar, while the spinach stays crisp at the top. When you’re ready to eat, just shake the jar to disperse the dressing. 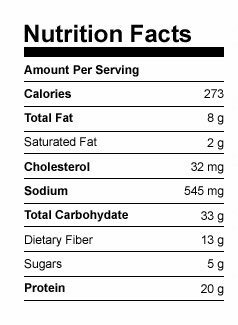 Pair it with grilled fish or chicken for a heartier meal. The mint dressing tasted great on those, too! Place yogurt, lemon juice, garlic, and mint in a blender; cover. Blend until smooth. Season with salt and pepper if desired; mix well. Evenly divide dressing between 4 pint Mason jars. Set aside. 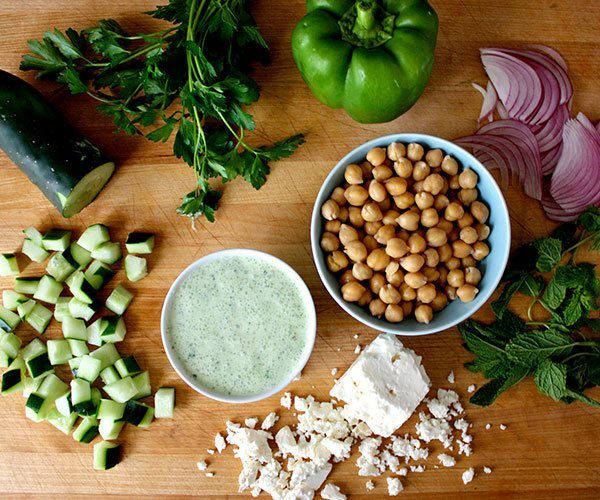 Evenly layer chickpeas, onion, bell pepper, cucumber, cheese, and parsley on top of dressing in jars.